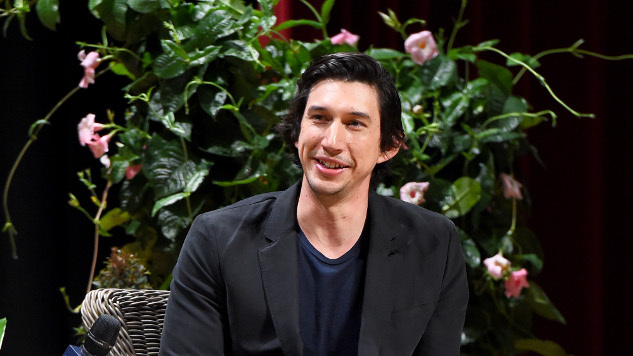 Adam Driver will host the forthcoming Saturday Night Live season 44 premiere, joined by musical guest Kanye West, the show’s Twitter revealed on Monday. It’s a curious lineup for SNL’s season premiere, considering how the show typically finds hosts with a major forthcoming project to promote. Last season’s premiere in September of 2017, for instance, was hosted by Ryan Gosling, there to promote Blade Runner 2049, out later that week. Driver previously hosted the show in January 2016, and appears in Spike Lee’s BlacKkKlansman, which was released back in August, but doesn’t have any major projects to promote until Star Wars: Episode IX at the end of next year. He can’t be plugging The Man Who Killed Don Quixote, can he? West, meanwhile, is coming off an exhausting summer. He very publicly stumbled into supporting President Trump and the alt-right, debated his support of Trump with T.I., called slavery “a choice,” put out five (mostly underwhelming) albums over five weeks, announced another one with Chance the Rapper, and only recently has finally started to retreat from the public eye. Even SNL itself already poked fun at the outspoken rapper’s Twitter outbursts last season, airing the Donald Glover-starring “A Kanye Place” sketch in May. Unless Kanye has even more new music dropping soon, it’s hard to tell what exactly he has to offer as SNL’s season-opening musical guest. It’s not a particularly impressive lineup, to be honest, though we’ll hope the show has some more surprises up its sleeve later this season. The Saturday Night Live season 44 premiere airs Sept. 29.